Our Summer Camps develop the ability to learn the English language through artistic workshops with programs which are renewed every year. In our Summer Camps there are many activities that develop children's physical skills while playing in a stimulating and fun atmosphere! The activities of our Summer Camps have been always opened also to kids who live with food intolerances for whom, specific initiatives of integration have been studied. Sapere Insieme is an association that believes in the ideal of the permanent education. It was created in order to propose cultural services, enabling them to extend the training and integration of children, teens and adults throughout activities and targeted programs. All the initiatives are activities carried out by teachers of undisputed professionalism and extensive experience in arts and education. For its activities Sapere Insieme selects prestigious locations all over the national territory. It is specialized in the realization of Summer Camp with the aim of teaching the English language. The association Sapere Insieme believes that only a constant crossing of experiences and cultures can allow a widening of horizons and the acquisition of new knowledge. The Association is constantly looking for creative ideas that stimulate learning new disciplines and forms of expression. 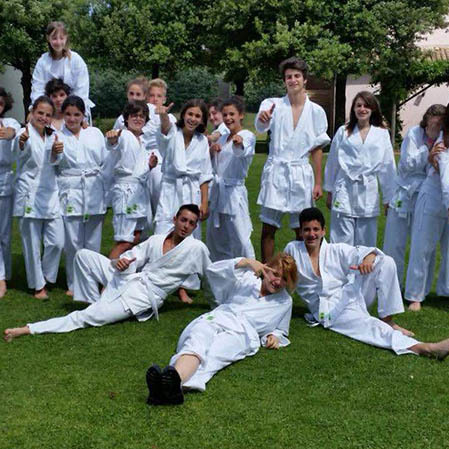 The association organizes exciting Summer Camps in English in the Italian territory where children of all nationalities have the opportunity to live through a multicultural experience enriched by activities of all kinds: from art to sport, through evening entertainment and an involving Aikido workshop! 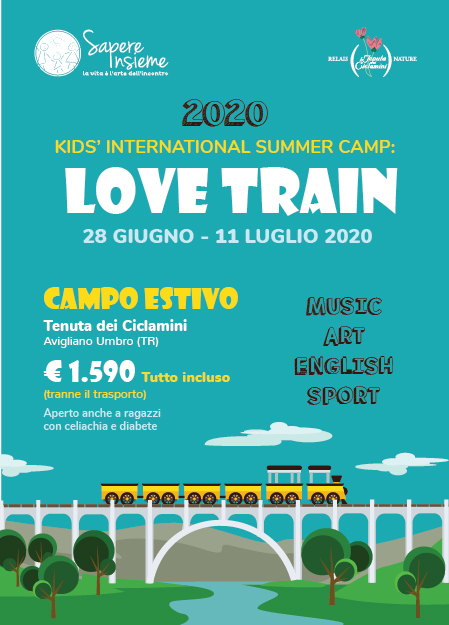 Internationality: after some years organising English summer camps for Italian children, an evolution towards an international camp was born in 2010. It was a small project with the participation, besides Italian children, of kids from Switzerland, Ucrania and Russia. The success of an international camp is measured by the integration and a sense of teamwork that occurs between the kids during the summer camp. Children learn how to live in a multicultural environment. They are in contact with different cultures and habits, therefore enhancing their general knowledge of languages, as well as developing their relationship capacities. Because of the way our summer camps are schemed, they stimulate even more the use of the English language, employed to communicate with the foreign students. The constant presence of tutors and teachers help children to hear everyday the correct sound and pronunciation. The teaching of the English language is accomplished through artistic-musical laboratories, specifically developed for young children and teenagers so that, learning becomes easy and natural. Artistic Labs: music, art and theatre labs, exclusively developed for Sapere Insieme, are enhanced every year thanks to many children who participate in our summer camps. Throughout a specific and monitored teaching, children of different ages enjoy a balanced learning of different disciplines. From music to choreography; From visual arts to theatrical expression, the artistic labs are conducted by native speaker teachers who every year elaborate exciting and involving projects for children, having in consideration the fact that games and fun are the key of learning in any kind of educational context. We also provide Italian lessons for foreign children. In the evening, enjoyment, entertainment and amusement are guaranteed with a rich animation programme conducted by our team of teachers and tutors. We offer, treasure hunt, movie night, mini olympics, talent show, horror night, disco, karaoke, Moon and Stars Night, among many others. Aikido for children: Aikido is a traditional non-violent Japanese martial art, founded by the Master Morihei Ueshiba. Differently from other martial arts, as the founder wanted, Aikido never became a competitive sport, remaining faithful to the original principle of handing on the spiritual ideals of the Japanese culture and tradition. Relevance is also given to etiquette, to mutual respect, to non violence and to a positive way of living. During lessons children learn the basic positions, falls, projections and immobilization techniques throughout games and exercises. Thus, they develop the motion skills (endurance, strength and speed), coordination capacity (control and adaptability), and the perception of their own body and of the surrounding space, acquiring balance and articular mobility. Practicing in pairs or groups facilitates socialization and develops the ability to face each other respecting rules and limitations. As there is no competition among pupils, there is cooperation so that the students help each other, growing together and improving their skills. 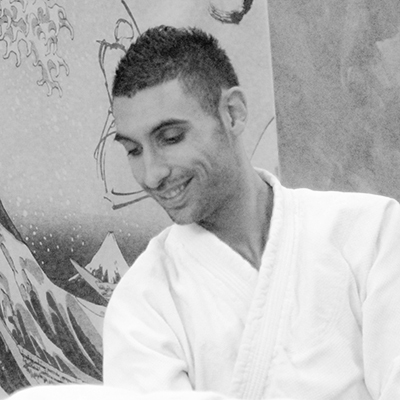 The Aikido lab is conducted by Master Simone. Sport: kids take part in a large sports program that includes the use of swimming pool, soccer field and a variety of outdoor games. Kids can choose every day among the many proposed activities. 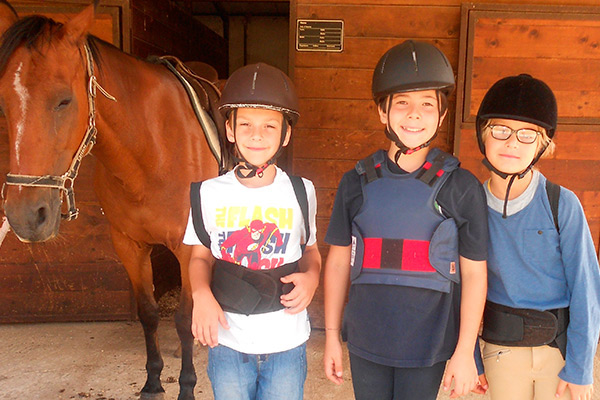 Also on request, and paid separately, “La Tenuta dei Ciclamini” offers riding lessons with instructor FISE and archery lessons. This year's theme: Count on me! Sign up for the Summer Camp is simple! Just print, fill out and forward us by mail the registration form and the medical form. Do not forget to download and read with your children the handbook with all there is to know about summer camp! Sapere Insieme's President, in charge of organisation and activities. 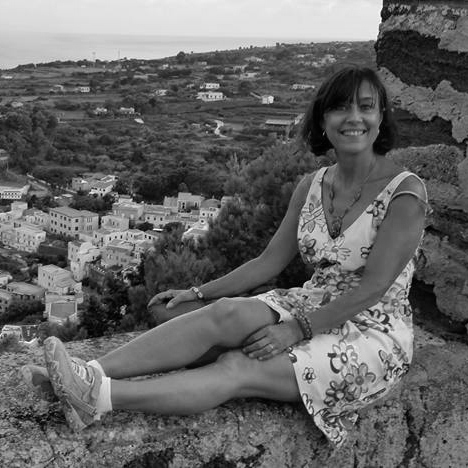 After a long collaboration with the Berlitz language school, in 2004 she founded the school "Kids’ World - l’inglese dei bambini", a social cooperative specialised in English lessons at home and in summer camps for kids. In 2007 she creates the campus "English Music Village" at "La Tenuta dei Ciclamini", a two weeks summer camp designed to learn the English language through music and aiming to the integration between kids with and without food allergies, thanks to an agreement with AIC (Associazione Italiana Celiachia), first example of its kind in Italy. In November 2008 she left Kids’ World and founded the association Sapere Insieme, with the purpose of examining in depth the subjects related to children’s cultural development and of extending this same kind of experience to adults. Lucia works as a dubbing dialogue adaptor for many TV series and movies; she speaks perfectly English and German. Jacopo graduated in Biotechnologies at La Sapienza University. He approached Sapere Insieme’s activities as a participant since he was a child, then after two years as camp assistant, he became Camp Director of the 2011 and 2012 International summer camps. He has a declared passion for the music world in which he cultivates a constant musical activity as solo artist and with other musicians. 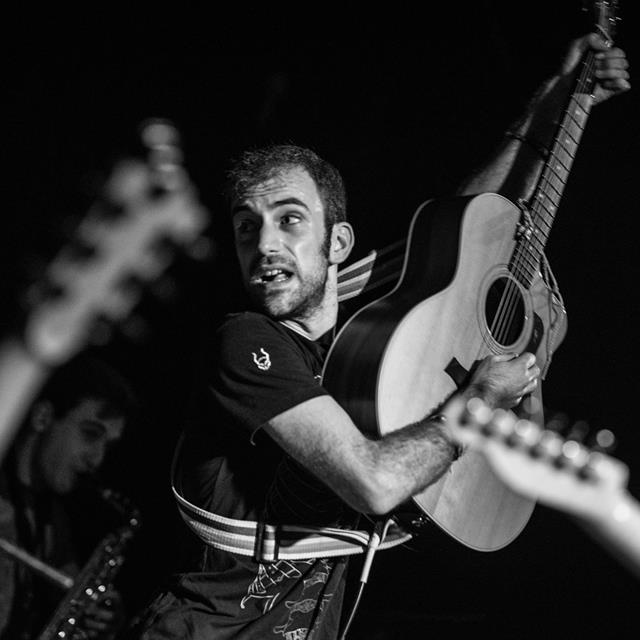 Sick 4 Milk, his band since 2009, is well known in the roman music panorama and has already recorded 2 EPs. In 2012 he attended CET (Centro Europeo Tuscolano) Training Center for Young Artists, directed by Maestro Mogol, based at La Tenuta Del Ciclamini, the location of the summer camp. 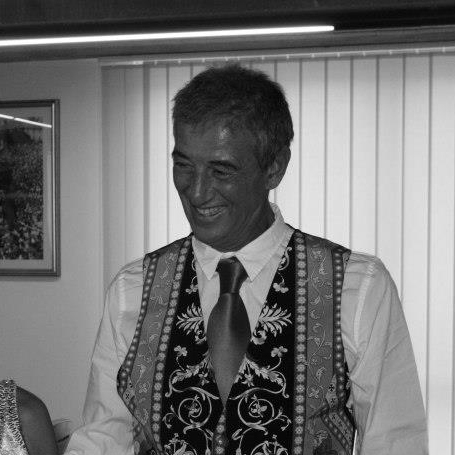 Musician and English teacher, degree in music composition, arrangement, piano, latin percussion and symphonic conduction. Born in Cuba, where he started playing and composing very young, winning several prizes and becoming leader of very important bands. Lived in Canada for more than ten years, performing as a solo artist and with different bands, participating in several Jazz Festivals in Ottawa and Montreal. In 2004 he started to collaborate with The United Nations, taking part in different humanitarian missions. He lives in Rome, where he teaches English and music to adults and children. 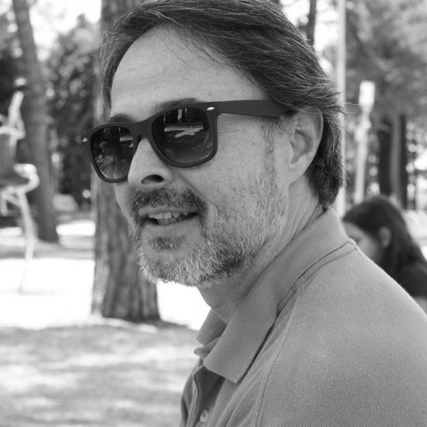 Since 2013 he collaborates actively with Sapere Insieme, taking care of music laboratories at the Summer Camps. Every year his music lab includes, among other activities, the recording of a music piece sang, played and performed by the children. His passion for graphic design and video-making, has taken him to collaborate with the association for the creation of flyers, advertising, videos and a documentary. For Ruben music is the universal language that unites everyone, regardless age and nationality. 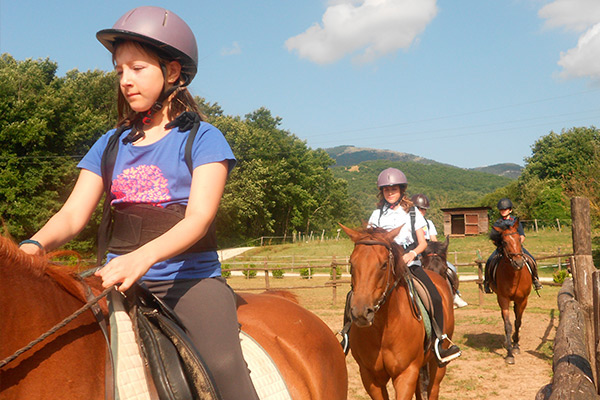 In our Summer Camp you will find the best qualified staff to ensure a memorable stay. 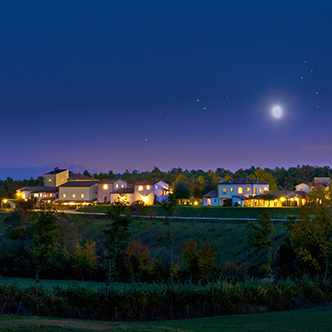 La Tenuta dei Ciclamini (Umbria, TR) besides being a prestigious hotel complex, the estate is the residence of the Maestro of Italian song Giulio Mogol and the headquarters of the CET (European Toscolano Center), high-level training school for young artists. Due to the success of previous editions, the Maestro Mogol has decided to collaborate with the association Sapere Insieme by making available its estate "La Tenuta dei Ciclamini" for the International Summer Camp. 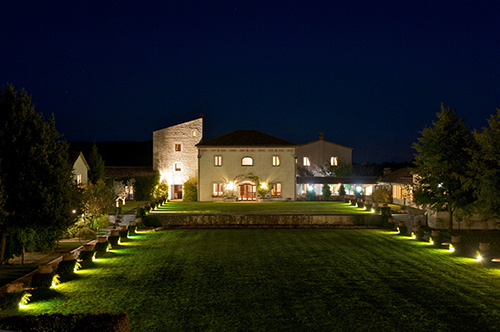 Tenuta dei Ciclamini is a village in medieval style surrounded by the enchanting hills of Umbria, which offers a high profile and quality hospitality. 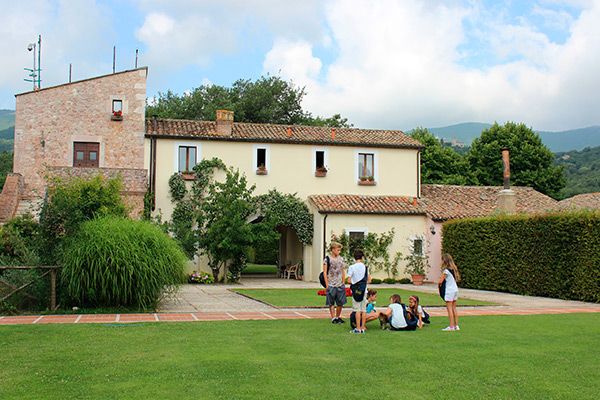 Our young guests will live a unique experience of learning English in a location surrounded by lush vegetation and equipped with every comfort. The “Tenuta dei Ciclamini” estate is present in the Italian AIC (Italian Celiac Association) guide: “Guida per l’alimentazione fuori casa”, constantly informed about celiac disease and the gluten-free diet. 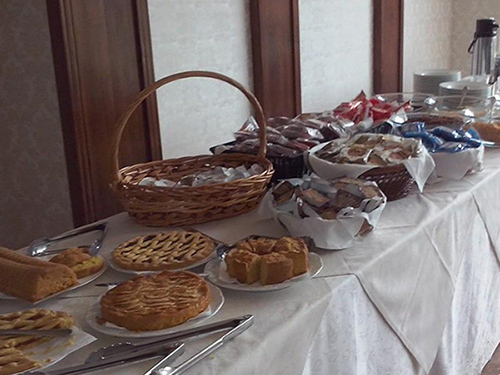 The catering is entrusted to a professional, attentive to the demands of the different participants that provides a varied menu and a balanced diet without giving up the goodies. 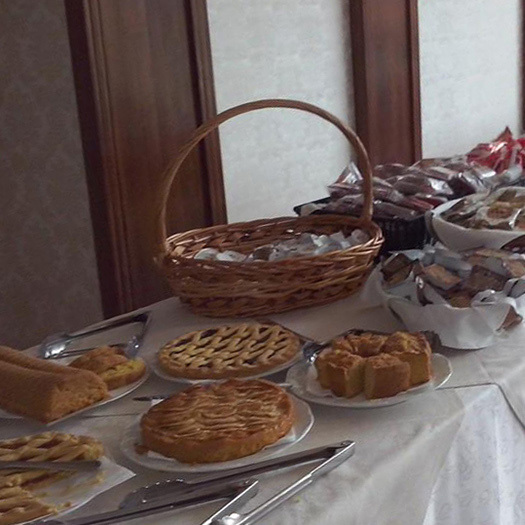 Sapere Insieme collaborates regularely with AIC (Italian Celiac Association) and AGDI (Juvenile Diabetes Association Italy) thanks to which welcomes children with celiac disease or diabetes, guaranteeing them a safe holiday both as regards the health and the food. Sapere Insieme association, always sensitive to every form of integration, design its activities also for kids who have food problems for which it is designed a specific menu. 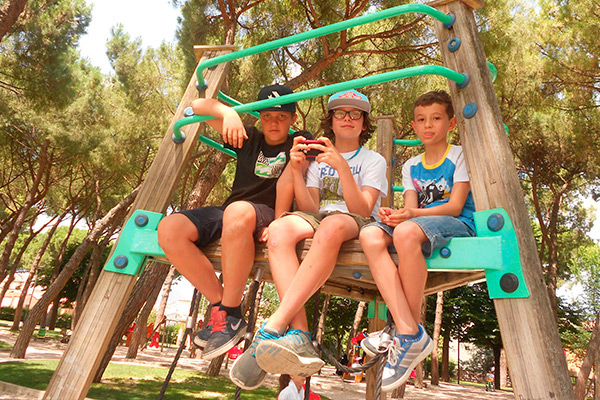 The collaboration between Sapere Insieme, AIC and AIGDI guarantees that the summer camps of the Association are safe holidays both as regards the health and the food also for the kids with celiac disease or diabetes. The constant presence of the doctor and the team specially trained on the needs of children with celiac disease or diabetes, ensures security and professional hospitality. 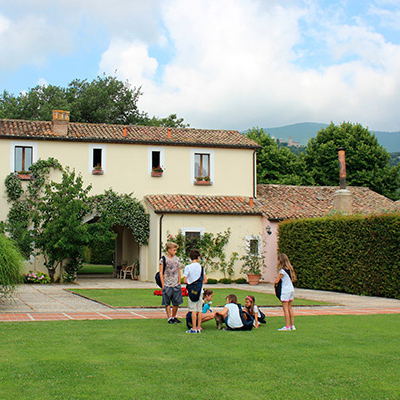 The association was the first in Italy to widen the participation in its summer camps to children with celiac disease and in recent years has also extended to children and teenagers with diabetes. The study trip where the emotions become alive! Our Summer Camps are unforgettable experiences. Live an adventure that will remain in your heart! Please contact us for any question! If you want to receive all the information regarding our activities in real time sign in to our mailing list.